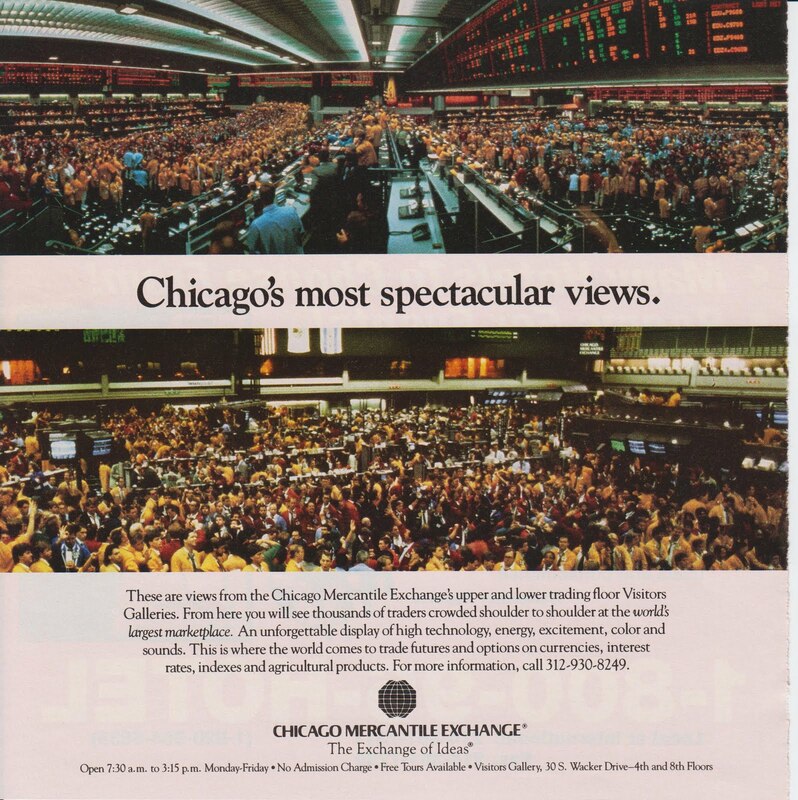 Above is a 1995 advertisement for the CME visitor's gallery which truly was one of "Chicago's most spectacular views." After the September 11th, 2001 attacks, the viewing gallery was closed to the public unless part of a pre-registered tour group and it's a shame that the terrorism did lead to many reductions in freedom and security restrictions across the US. Prior to the public closings, it was always a treat for me to wander to the various visitor galleries and watch for a little bit before I got access to be on the floor myself. 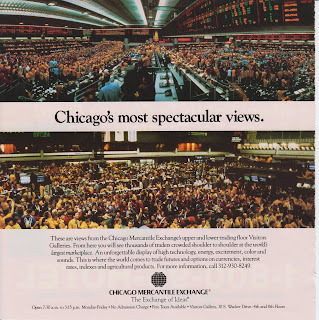 Seeing the trading pit for the first time from the visitor's gallery at the KCBT in 1998, I knew that's exactly what I wanted to do in life.